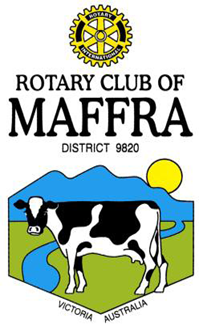 The Rotary club of Maffra recently made their yearly disbursements to local community organisations and Rotary projects. Members of the club were very pleased to be able to make a significant contribution to the Stretton Park refurbishment program for an amount of $13,000. Chairman of the Stretton Park board, Phil Clifford spoke to members about the history of Stretton Park, some issues they have encountered during the fund raising period, and the proposed plans. Once this stage is completed there are further stages planned for the future. 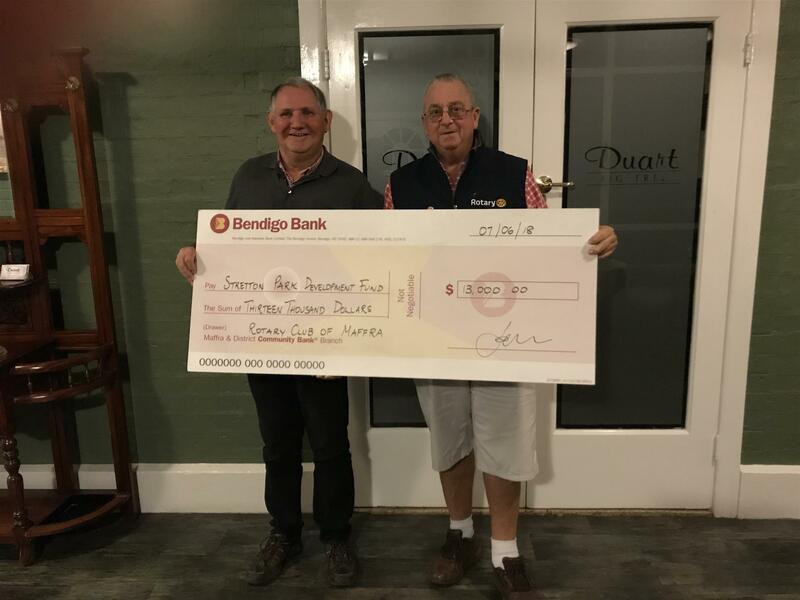 Chairman of the Stretton Park board, Phil Clifford was very happy to receive the large cheque from President of Maffra Rotary club, Graeme Hemming.